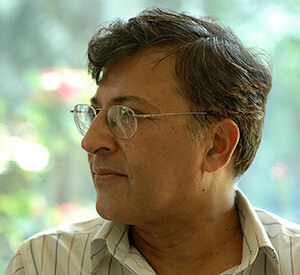 Pervez Amirali Hoodbhoy (b. 1950) is one of South Asia's leading nuclear physicists and perhaps Pakistan's preeminent intellectual. Bearer of a Ph.D. from the Massachusetts Institute of Technology , he is chairman of the department of physics at Quaid-e-Azam University in Islamabad where, as a high-energy physicist, he carries out research into quantum field theory and particle phenomenology. He has also been a visiting professor at the University of Maryland, College Park, and was visiting professor at MIT and Stanford. For some time, he has been a frequent contributor to Britain's leading intellectual journal, Prospect. His extracurricular activities include a vocal opposition to the political philosophy of Islamism. He also writes about the self-enforced backwardness of the Muslim world in science, technology, trade, and education. His many articles and television documentaries have made a lasting impact on debate about education, Islam, and secularism in Pakistan. Denis MacEoin interviewed him by e-mail in October 2009. Middle East Quarterly: In 2007, you asked, "With well over a billion Muslims and extensive material resources, why is the Islamic world disengaged from science and the process of creating new knowledge?" How would you answer that question today? Has anything changed? Pervez Amirali Hoodbhoy: Sadly, little has changed. About seven centuries ago, after a spectacular Golden Age that lasted nearly four hundred years, Islam and science parted ways. Since then, they have never come together again. Muslim contributions to pure and applied sciences—measured in terms of discoveries, publications, patents, and processes—have been marginal for more than 700 years. A modest rebirth in the nineteenth century has been eclipsed by the current, startling flight from science and modernity. This retreat began in the last decades of the twentieth century and appears to be gaining speed across the Muslim world. MEQ: What role do you think is played by the ulema in blocking new knowledge by imposing the rulings against innovation? Hoodbhoy: The traditional ulema are indeed a problem, but they are not the biggest one; the biggest problem is Islamism, a radical and often militant interpretation of Islam that spills over from the theological domain into national and international politics. Whenever and wherever religious fundamentalism dominates, blind faith clouds objective and rational thinking. If such forces take hold in a society, they create a mindset unfavorable for critical inquiry, including scientific inquiry, with its need to question received wisdom. MEQ: Have religious conservatism and anti-science attitudes among Muslims always been as strong as today? Or were Muslims more pro-science, say, a hundred years ago? Hoodbhoy: In my childhood, the traditional ulema—who are so powerful today—were regarded as rather quaint objects and often ridiculed in private. Centuries ago the greatest poets of Persia, like Hafiz and Rumi, stripped away the mullahs' religious pretensions and exposed their stupidity. Today, however, those same mullahs have taken control of the Iranian republic. The answer lies just as much in the domain of world politics as in theology. Khomeini developed the doctrine known as "guardianship of the clergy," which gives the mullahs much wider powers than they generally exercised in the past. Instead of being simple religious leaders, they now became political leaders as well. This echoes the broader Islamic fusion of the spiritual and the temporal. MEQ: Explaining the emergence of so many Muslim doctors, scientists, engineers, and other technologists as Islamists and, sometimes, as terrorists, Malise Ruthven suggests that a superficial understanding of science leads to a belief in authoritative texts and this slots in with a belief in the infallibility of the Qur'an. What is your explanation? Hoodbhoy: This question must be disaggregated and examined at many levels. It cannot be answered simply in terms of mere theology—the Bible contains elements of extreme violence and yet the vast majority of scientists who are believing Christians are also peaceful people. What brought about the global Islamist wave is a much more relevant question. It is, in some ways, the Muslim version of anti-colonialism and a reaction to the excesses of the West, combined with an excessive traditionalism. But let me concentrate on the sociological aspects. To begin with, we need to separate the scientists from the technologists, meaning those who use science in a narrowly functional sense rather than as a means for understanding the natural world. I have never seen a first-rate Muslim scientist become an Islamist or a terrorist even when he or she is a strong believer. But second- and third-rate technologists are more susceptible. These are people who use science in some capacity but without any need to understand it very much—engineers, doctors, technicians, etc.—all of whom are more inclined towards radicalism. They have been trained to absorb facts without thinking, and this makes them more susceptible to the inducements of holy books and preachers. MEQ: Has this been happening with Pakistan's home-trained scientists? Hoodbhoy: Our best physics students in Islamabad are often the most open-minded and the least religious. They have enough social strength to keep themselves at a certain distance from the crowd. Among my colleagues, something similar takes place; the weakest ones professionally are the ones who demonstrate the greatest outward religiosity. I see a strong correlation between levels of professional competence and susceptibility to extremist philosophies. MEQ: Is the situation the same in India? Hoodbhoy: Yes, there, too, I find anti-science attitudes rare among scientists but rather common within the technological and professional classes, both Hindu and Muslim. The latter type of people pray for rain, attribute earthquakes to the wrath of God, think supplications to heaven will cure the sick, seek holy waters that will absolve sin, look to the stars for a propitious time to marry, sacrifice black goats in the hope that the life of a loved one will be spared, recite certain religious verses as a cure for insanity, think airliners can be prevented from crashing by a special prayer, and believe that mysterious supernatural beings stalk the earth. Their illogic boggles the mind. MEQ: Does the fact that Indians and Pakistanis have both constructed nuclear weapons indicate that science now is firmly implanted on South Asian soil? Hoodbhoy: To an extent, yes, but the battle against irrationality has a long way to go. For example, India's 1998 nuclear tests were preceded by serious concern over the safety of cattle at the Pokharan test site for religious reasons. Former Indian foreign minister Jaswant Singh wrote, "For the team at the test site—which included President Kalam, then the head of the Defence Research and Development Organization—possible death or injury to cattle was just not acceptable." MEQ: It seems that Muslims today are hampered by a culture that refuses to take on board the prerequisites for scientific and other intellectual progress—the Enlightenment insistence on freedom of speech and thought to enable open discourse and free debate. Even in the West since the Rushdie affair, Islamists seek to use the law to prohibit debate about Islam. Do you see a way to put an end to this pattern? Hoodbhoy: On the scale of human history, the Enlightenment is a very recent phenomenon, barely four hundred years old. One must be hopeful that Muslims will catch up. The real question is how to shake off the dead hand of tradition. The answer lies in doing away with an educational system that discourages questioning and stresses obedience. Reform in the Muslim world will have to begin here. At the core of this problem, lies the tyranny that teachers exert over their students. In Urdu, we say that the teacher is not just a teacher—he is also your father. But in our culture, fathers are considered all-wise, which means that teachers cannot be questioned. MEQ: Is this kind of education a source of authoritarianism? Hoodbhoy: It is both a source and an inevitable consequence of authoritarianism. Instead of experiencing science as a process of questioning to achieve understanding, students sit under the watchful eyes of despots while they memorize arbitrary sets of rules and an endless number of facts. X is true and Y is false because that's what the textbook says. I grind my teeth whenever a student in my university class gives me this argument. MEQ: How can countries like Pakistan develop a scientific mindset? Hoodbhoy: College and university come much too late; change must begin at the primary and secondary school level. Good scientific pedagogy requires the deliberate inculcation of a spirit of healthy questioning in the classroom. Correct attitudes start developing naturally when students encounter questions that engage their mind rather than their memory. For this, it is important to begin with tangible things. One does not need a Ph.D. in cognitive studies to know that young people learn best when they deal with objects that can be understood by visual, auditory, tactile, and kinesthetic means. As their experience grows, students learn to understand abstract concepts, to manipulate symbols, to reason logically, to solve theorems, and to generalize. These abilities are destroyed, or left woefully undeveloped, by teaching through rote memorization. MEQ: What, then, should normal practice consist of? Hoodbhoy: Teachers posing such questions as: How do we know? What is important to measure? How can we check the correctness of our measurements? What is the evidence? How are we to make sense out of our results? Is there a counter explanation, or perhaps a simpler one? The aim should be to get students into the habit of posing such questions and framing answers. MEQ: You have said, "No Muslim leader has publicly called for separating science from religion." Do you detect any real movement by Muslim secularists and scientists to reverse this trend? Hoodbhoy: Nothing of this kind is visible in Pakistan, but I see this happening in Iran, the most intellectually advanced country of the Muslim world, a country that boasts an educational system that actually works. Ayatollah Khomeini was quite content to keep science and Islam separate—unlike Pakistan's leaders who have made numerous absurd attempts to marry the two. Khomeini once remarked that there is no such thing as Islamic mathematics. Nor did he take a position against Darwinism. In fact, Iran is one of the rare Muslim countries where the theory of evolution is taught. This may be because Shi'ites, as in Iran, have a different take on evolution than Sunnis and are generally less socially conservative as well. Shi'i women may wear the chador or hijab [head covering] but never a burqa [full body covering]. I've seen women taxi drivers in Tehran but never in New York City. Moreover, Iran is a front-runner in stem-cell research—something which George W. Bush and his administration had sought to ban from the United States. MEQ: How far have madrasas in Pakistan, especially the Deobandi schools, made intellectual progress hard or impossible for society as a whole? Hoodbhoy: The Deobandi-Salafi-Wahhabi axis of unreason does not seem capable of accommodating the premises of science—causality, an absence of divine intervention, and scientific method. Ever since Khwaja Nizam-ul-Mulk of Persia established madrasas in the eleventh century, these schools have stuck to their pre-scientific curriculum. However, they became dangerous when the Saudis used their petro-dollars in the 1970s to export Wahhabism across the world. Thousands of new madrasas were established in Pakistan by the United States, Pakistan, and Saudi Arabia to provide fodder for the great joint, global jihad against the Soviets. The CIA provided madrasas with millions of Qur'ans, as well as tens of millions of textbooks published in America designed to create a jihadist mindset among young Afghans resident in Pakistan. These madrasas eventually became nurseries for the Taliban. MEQ: Have no attempts been made to reform the madrasas? Hoodbhoy: Following the 9/11 attacks, General Pervez Musharraf was prodded by the Americans to initiate a madrasa reform project aimed at broadening the madrasa curriculum to include the teaching of English, science, mathematics, and computers. Huge sums were spent but to no avail. These misogynist bastions of anti-modernism and militancy cannot be reformed. The Pakistani state literally cowers before them. They have the power to bring every Pakistani city to a halt. On the other hand, in East Africa, India, or Bangladesh, one sees that madrasas can be quite different. While conservative, they do permit teaching of secular subjects. Some even have small minorities of non-Muslims, which would be unheard of in a Pakistani madrasa. MEQ: You point out the emergence of low-quality scientific periodicals in Iran and elsewhere, in which scientists publish articles of a poor standard. Also, most Muslim countries tolerate outright plagiarism in Ph.D. theses and published books. What do you suppose is responsible for such self-defeating behavior that clearly acknowledges the superiority of properly assessed articles and dissertations yet accepts the second- and third-rate? Hoodbhoy: I call this "paper pollution." The rapid increase in substandard publications and plagiarism is the consequence of giving large incentives for publishing research papers. Some contain worthwhile research but most do not. I consider certain ambitious individuals in government to be at fault for allowing, and even deliberately encouraging, poor quality theses and books fit for nothing but the waste basket. This problem can be handled using the current administrative machinery; just remove these incentives and punish plagiarism with sufficient severity. MEQ: You have said, "Here [at Quaid-i-Azam University], as in other Pakistani public universities, films, drama, and music are frowned on." This is also seen in numerous Muslim schools in the United Kingdom, where even chess was banned and compared to "dipping one's hand in the blood of swine." These attitudes prevent talented young Muslims from achieving success as actors, directors, dancers, musicians, composers, artists, and writers. Your thoughts on changing this situation? Hoodbhoy: There is open war between those Muslims who stand for a liberal, moderate version of the faith and those who insist on literalism. The unresolved tension between traditional and modern modes of thought and social behavior is now playing itself out in ever more violent ways. Most Pakistanis, while Muslims, want their daughters to be properly educated; Islamic extremists, however, are determined to stop them. On most campuses, religious vigilantes enforce their version of Islam on the university community by forcing girls into the veil, destroying musical instruments, forbidding men and women from being together, and putting a damper on cultural expression. MEQ: Do the Taliban play a role in this arena? Hoodbhoy: Yes, as of early 2009, they had already blown up 354 schools and they issued a decree that no girls in Pakistan may be educated after February 15, 2009. In their view, all females must stay at home. In October, educational institutions across Pakistan shut down after a suicide bomber blew himself up after walking into the girls' cafeteria of the International Islamic University [in Islamabad] while, simultaneously, another bomber targeted male students. MEQ: Islamists bombed an Islamic university? Hoodbhoy: Indeed, this episode sent shock waves across the country because the International Islamic University is a conservative institution where most women dress in burqas and very few wear normal clothes. But even this does not placate the extremists. Muslims are at war with other Muslims. If the radicals win, or can at least terrify the moderates into following their restrictions, then there will be no personal and intellectual freedom and hence no thinking, ideas, innovations, discoveries, or progress. Our real challenge is not better equipment or faster Internet connectivity but our need to break with mental enslavement, to change attitudes, and to win our precious freedom. Pervez Amirali Hoodbhoy, "Science and the Islamic World—The Quest for Rapprochement," Physics Today, Aug. 2007, p. 1. Malise Ruthven, A Fury for God: The Islamist Attack on America (London: Granta Books, 2002), pp. 117-21. Hoodbhoy, "Science and the Islamic World," p. 2. Joe Stephens and David B. Ottaway, "The ABCs of Jihad in Afghanistan—Courtesy, USA," The Washington Post, Mar. 23, 2002. Hazem Zohny, "Iran urged to stamp out plagiarism," SciDevNet (London), Oct. 26, 2009; "Iran's Science Minister Accused of Plagiarism," Payvand Iran News (Mountain View, Calif.), Sept. 24, 2009. Hoodbhoy, "Science and the Islamic World," p. 6. Denis MacEoin, Music, Chess and Other Sins (London: Civitas, 2009), p. 101. The Guardian (London), Jan. 20, 2009. Dawn (Karachi), Oct. 21, 2009. Related Topics: South Asia | Winter 2010 MEQ receive the latest by email: subscribe to the free mef mailing list This text may be reposted or forwarded so long as it is presented as an integral whole with complete and accurate information provided about its author, date, place of publication, and original URL.